Planned and managed power plant expansion, returning more than $700,000 of unused construction contingencies. 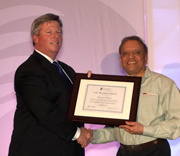 Made creative chilled-water plant modifications that optimized operations, saving nearly $500,000 in annual energy costs. Created plan to expand district heating and cooling networks that saved more than $6 million in capital costs over other consultants’ proposals. Obtained $600,000 in NYSERDA funding for chilled-water upgrades expected to save $460,000 in annual energy costs. Recommended changes in operation of steam turbine chillers that improved their efficiency by more than 20%. Developed new central energy plant configuration expected to lower greenhouse gas emissions by 44%. Recommended simple $50,000 piping upgrade that avoided nearly $2 million in capital costs. Designed chilled-water system modification expected to save $320,000 in annual energy costs with 2.6-year payback. Saved company nearly $30 million in capital costs with plan for reusing existing chiller plant capacity. These pumps were removed from the Memorial Sloan Kettering Cancer Center, significantly reducing operating costs and optimizing chilled-water operations. 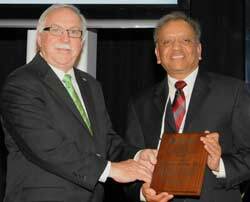 The International District Energy Association presented a life membership to WM Group President Hemant R. Mehta, PE, in mid-February 2013 at IDEA’s annual Campus Energy Conference. >>Learn more.